Brothers. . . We Must Pray. 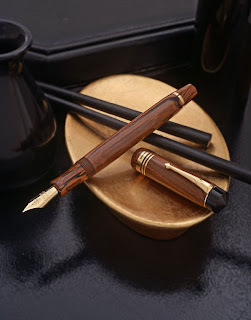 . .
What I shall write today has been a force gathering in my soul for several days now. I have watched and listened with dismay and horror for a little over a year at what is happening to some of my brothers in ministry. We stand at the precipice of a huge cliff and one way or another, it appears that we are going to either leap over the edge or be pushed over the edge, whatever design suits your will. I am watching some of my brothers on both sides of this issue drop down into the mud and it is soiling everything that God ha s accomplished in your life to this point. It is not so much the direction of the decision as it is the way that the direction is being promoted. The penalties are huge. There has been an incredible loss of focus, a very fractious division is brewing, and brothers are going down in “friendly” fire. Friendships that have spanned decades are now dissolving. I am watching a few on either side un-sheath swords that when the work of the battle has been completed, there will be awesome carnage on both sides. Ministries will be stunted and spirits will be wounded. Another thing that you can factor into the equation is that there will be prodigals caused by our actions. Some of those prodigals will never recover from the hog-pen. Brothers, the greatest question is this: What shall become of the saints? I have entertained another question in my mind: What if as much energy was expended on the Kingdom in prayer, fasting, and ministry of the Word? I dare say that there are some (on both sides) who have spent far more time researching and gathering data for their position than they ever spend studying and putting messages together to feed the flock. Brothers, that is damning. . . furthermore it is unacceptable. 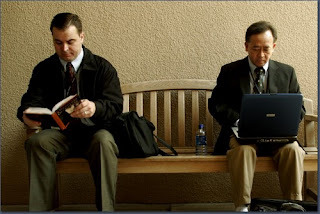 Brothers, what if we were to spend as much time cultivating our churches with the same amount of energy that we are working the phones and pulling on our connections? We are spending our lives with the precious few minutes that God has given to us, fighting the tanks of the enemy with mere peashooters of human opinion. If prayer, fasting, and the ministry of the Word works, then brothers we must do it! Some would boil down the matter into a holiness matter. . . . there are others who want to equate it with an evangelism matter. . . Brothers, sadly it fits into neither. Whether we believe it or not, the “holiness” side wants evangelism, and the “evangelism” side wants holiness. More than anything this whole thing has become a masterful distraction of the church that when it is said and done, the bramble will be the king. When the bramble becomes the king the whole forest will be destroyed. Brothers, it is numbing to my spirit to watch both sides p our out vitriol and angst on internet forums and message boards. Some say that it is nothing more than Peter enjoying a ham sandwich with his Gentile buddies and then coming under the rebuke of Paul for it. I have an idea that Paul was confronting Peter’s hypocrisy more than his choice of Sunnyland sausage. It is deadening to watch the circling of the wagons into different camps. Diversity is critical but not at the expense of unity. Brothers, this will be the most difficult of all the words to write. It is utterly depressing for me to have to pick up great men out of the mud and wash them off with a water hose in the eyes of my two teen-age boys. It is not just one side but both sides that I am having to do this with. I have greatly encouraged my boys to look at your sterling example that has been set over the years. I have learned that men are human but I am an adult and have much more spiritual and mental resources to work with. But in the tender growing process of young minds it is much more difficult to deal with these blows. I might add that after I have pulled you out of the mud and washed you off, your polish is gone, and instead of looking like a great man of God, you have taken the look of a sheepish little boy that has been caught. Brothers. . . . We Must Pray. . . I write this blog post from my study and I look to the wall just to the right of my desk and on the wall is a collection of pictures that I have gathered at conferences here and there. In all of those pictures only one is group shot, the rest are individual pictures of myself with some great men. . . . You are on that wall for a reason. . . The prevailing reason is because you have contributed something to my life in the past but more importantly when I look at those pictures. . . I pray for you. . . . I do not know the pressures that you face, the battles you wage, nor the wisdom that you need, therefore I pray for you. In fact, it is almost daily that I look at you (beside me) and I pray diligently. Oddly enough, I am pictured with some of the biggest “conservatives” and with some of the biggest “liberals” and I love both and right now you look a little less than appealing to me. Spend your time preaching the Word, not your agenda. Ultimately, the agenda is going to betray you . .
Brothers. . 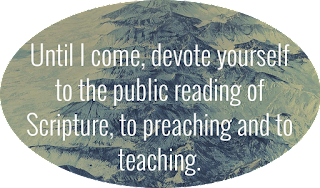 I am pleading with you to. . . . Pray. . . Hold court with God in prayer about your perceived “enemies.” Present your plan to God and let Him work out the details. Brothers. . . What ever side you hold to. . . We Must Pray! I can think of no U.S. President in my lifetime that has had to deal with as much calamity in his tenure as the current president, George Bush. Only nine months into the White House, America was attacked by some very wicked terrorists. Few who saw will ever forget the scenes of the Twin Towers collapsing into a pile of rubble and the damage that the Pentagon suffered on that September 11 morning in 2001. We will not forget the heroics of Todd Beumer and those aboard Flight 93 who diverted a flight that was apparently headed for the White House. All of these challenges came to Mr. Bush over a 3 hour span forcing him to have to spend much of his attention dealing with the war on terror. Because of my interest in George Bush, I have read a fair number of books about him and his administration. The latest one is The Right Man by David Frum. Frum was hired as a speech writer who really was not pro-Bush when he was hired. 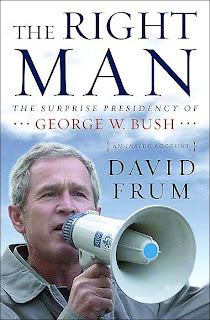 However, within a very short period of time, Mr. Frum became very much pro-Bush because of the way that he noticed that the President and the White House staff conducted themselves. One of the prevailing points that Mr. Frum noted about the Mr. Bush was the prevailing sense of doing exactly opposite of what former President Bill Clinton did. In reading this about President Bush, I have come to understand that if you will live your life at a higher level, it will have an ultimate payoff. It will not come immediately but in the long run there will be very few questions about integrity and honesty. Another strong detail that President Bush retains is his ability to remember small details about the people with whom he works. He can remember where they went to college and who their favorite teams are. Another character trait that I noticed in the books about Bush is that he is relentless in his discipline to schedule. He breaks down his day into five-minute segments and each of the minutes can be accounted for. It does not matter what happens to the hour but rather to the very minutes that he spends working with specific tasks. Not only is he careful about how he manages his time but he also is very careful about how he manages his body. He was an avid jogger but his arthritic joints begin to preclude the pounding that he was taking when he ran and so he traded in his running shoes for a nice Trek mountain bike. Some of the trips to Crawford with the bike on his ranch have led to some abraded knees and elbows. Even at his age, he manages to outride the Secret Service and the media detail that comes along with him. Tonight (1/23/07) he will give the State of the Union address to a Democratic party-controlled Congress who will certainly make his last two years in office to be very challenging. However, when he leaves the office of the President in 2008, his presidency will be marked with the high respect that he carried for his predecessors. The respect of the Oval Office that he had translated into the way that he conducted himself, particularly at a moral level.